This website is a new version of OJS for JHECDs (p-ISSN: 2502-0447, e-ISSN: 2503-5134). Click http://http://ejournal.litbang.depkes.go.id/index.php/jhecds/ to visit the old version website. 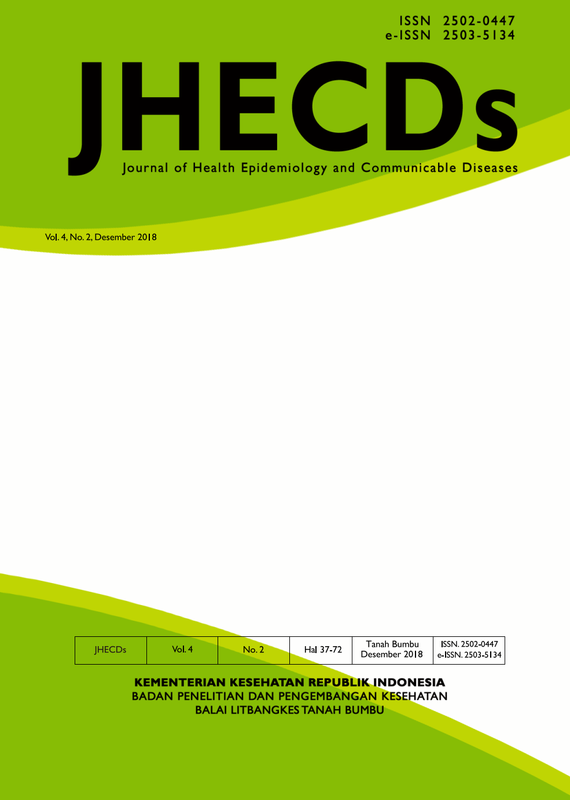 Articles in the JHECDs are Open Access articles under a Creative Commons Attribution-ShareAlike 4.0 International license . These license permits use, distribution and reproduction in any medium, provided the original work is properly cited and initial publication in this journal. In addition to that, users must provide a link to the license, indicate if changes are made and distribute using the same license as original if the original content has been remixed, transformed or built upon.